Sorry this is up quite late. I had a very late night last night and I've been stuck at work all day, not a very good mix but that doesn't matter now. 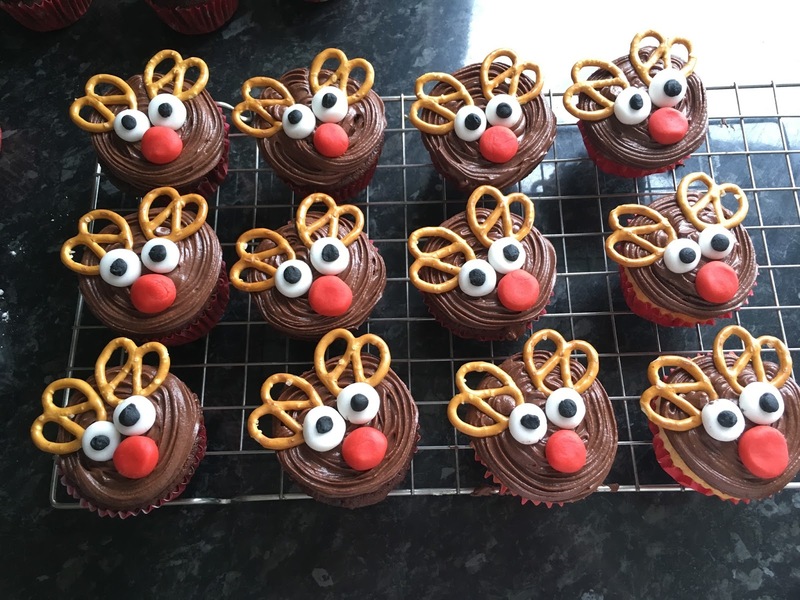 Today I'm going to be showing you how I made my reindeer cupcakes. Like usual, I took these to work to test out my bake and they said they were amazing, some of my best yet. Next add the butter to the mix and then use a mixer or a spoon to mix it all together, until you get a sand like consistency. After that, mix your egg, milk and vanilla together in a separate bowl and slowly pour this into the butter flour mix. 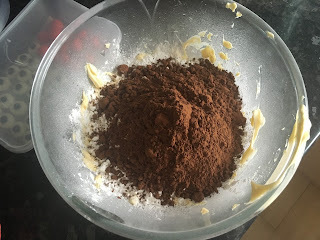 Mix this together until everything is well combined and looks like a thick batter. 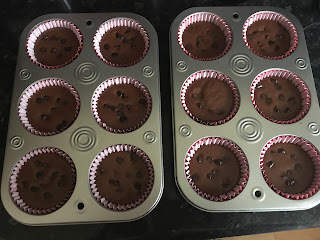 Pour the mix equally into 12 cupcake cases, fill them about 3/4 full and then sprinkle in some dark chocolate chips. Pop them in the oven and bake for around 20-25minutes. While your cakes cool you can make your chocolate butter cream. 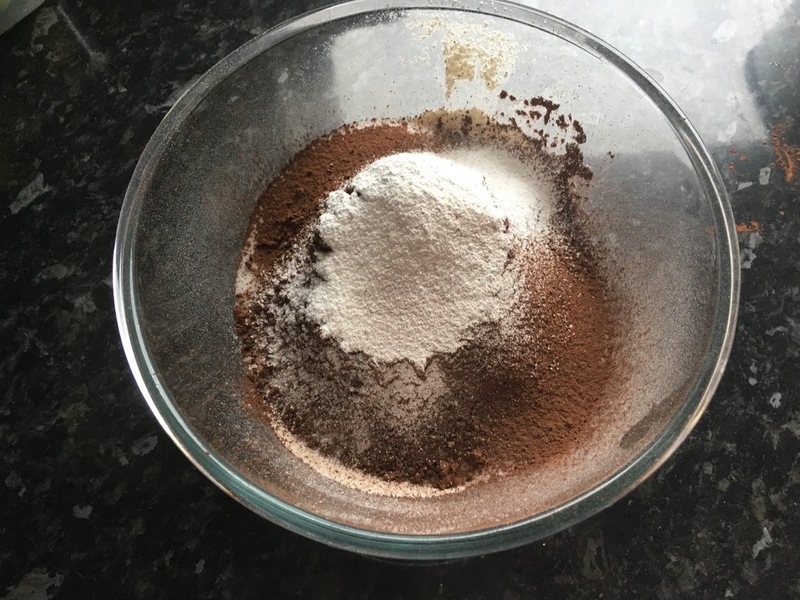 Pop your softened butter, icing sugar and cocoa powder into a bowl and start mixing. When this is done you can put this aside while you do stop 5. Grab a piping bag and fill it with your sales caramel sauce. 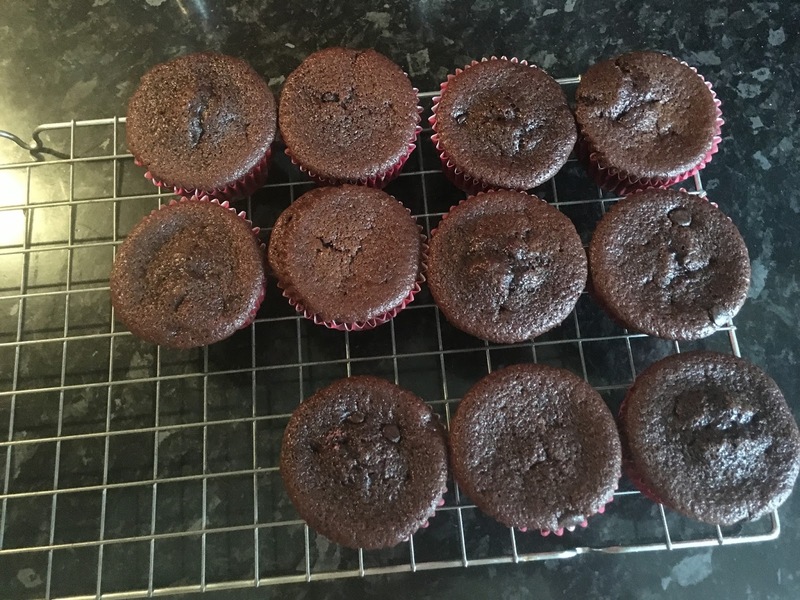 Make a small hole in the top of all the cupcakes and then insert the piping bag and fill them until you feel pressure pushing on the bag. below is a picture of the ones I did, I also popped a little sauce on top and smoothed it over with a knife. I had a few vanilla ones because a few of the ladies at work don't like chocolate cake (I don't understand why). Grab your white royal icing and make 24 small balls. Pop them onto some grease proof and press each one down with your thumb to make them just thick circles. 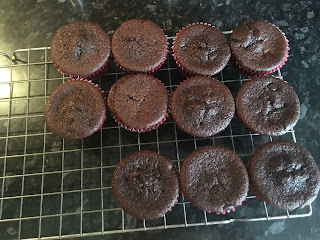 Next grab some more white icing and use the black food gel to colour it. When your have the right colour, take little amounts of the black and roll it into a tiny ball and place it onto the white eyes. They should resemble eyes at this point. Now grab some more white and the red food gel and get it to the red your happy with, roll out 12 small balls and then you have your noses. Use a piping bag to swirl some butter cream onto all your cupcakes. 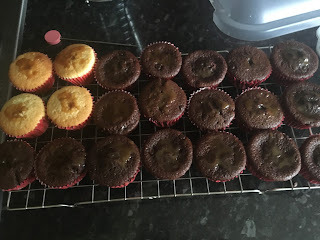 Next add your eyes and noses to the cupcakes. The finishing touch is to add two pretzels to look like antlers. I would suggest making a caramel and dipping them in, the caramel will set and then the pretzels might stay crunchy. 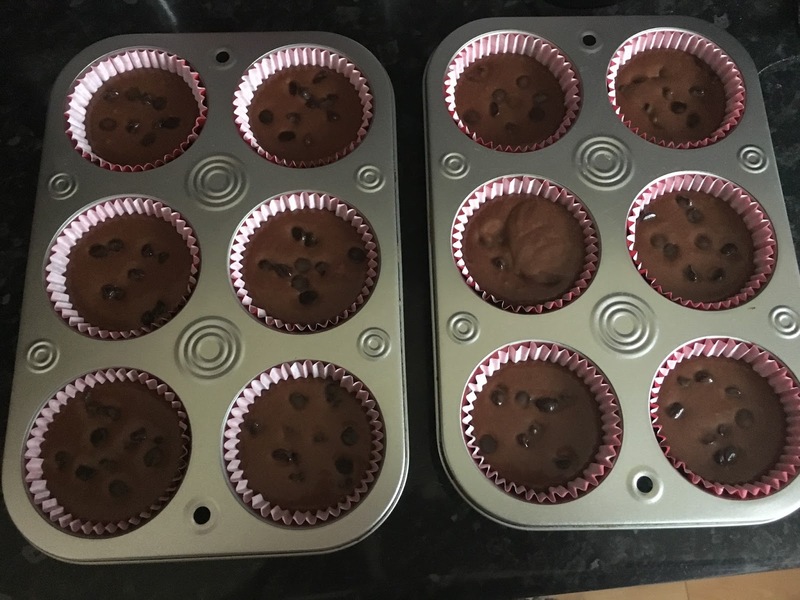 Mine went a little soft, they still tasted nice but I think ill of that next time.